This Anglophile Journal will be a constant companion. Features a zippered edge and leather cover. $38. Buy here. 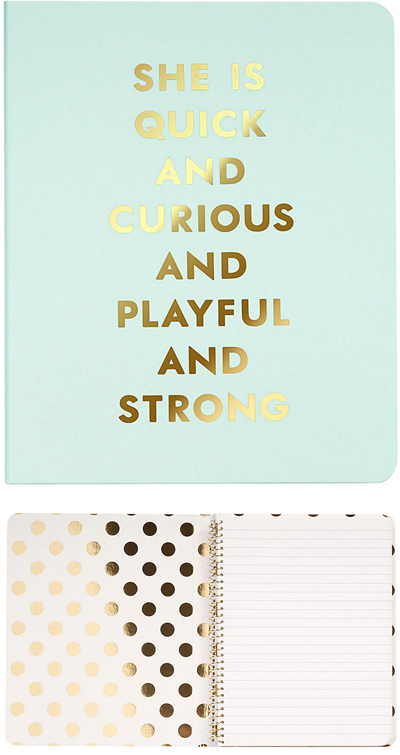 This wonderfulÂ Kate Spade Quick Curious Playful Strong Notebook features a hidden spiral notebook with a glamorous mint colored cover with gold printed message. A very chic and fresh way to start your work or school day! $14.95. Buy here. 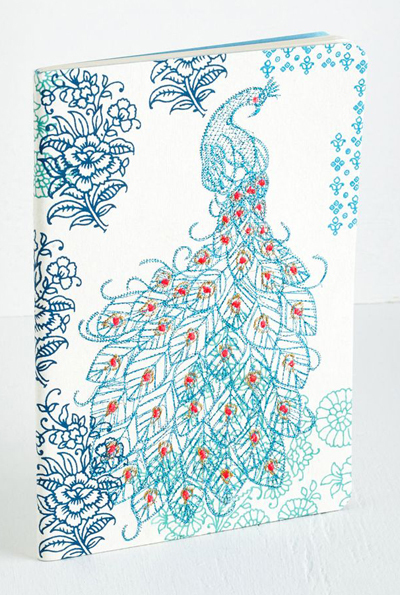 Crafted from recycled cotton paper, this handmade paperbackÂ Dazzling Doodles Journal from Chronicle Books touts lined pages and an embroidered peacock cover that glistens with metallic aqua, gold, and crimson hues. $14.99. Buy here. 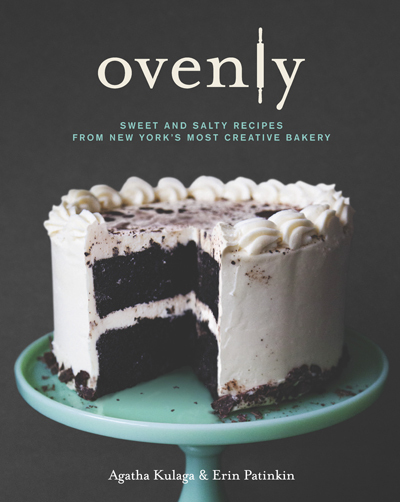 Ovenly: Sweet and Salty Recipes from New York’s Most Creative Bakery features recipes that are complex, innovative and fun. Ovenly is an award-winning bakery headquartered in Greenpoint, Brooklyn. Since 2010, their innovative baked goods have found their way into cafÃ©s, restaurants and stores nationwide. $29.95 Sale $20.83. Buy here. 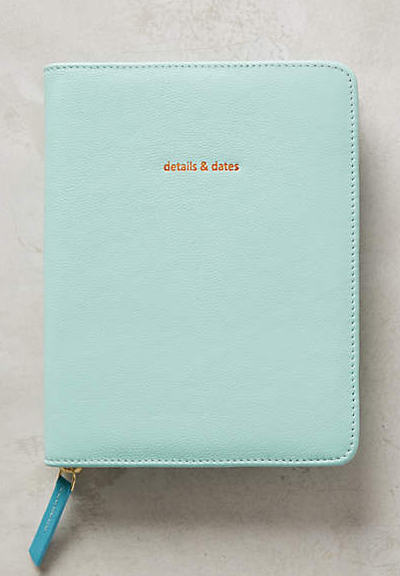 Keep track of your busy life with this toteableÂ Kate Spade 12-Month Agenda featuring monthly and weekly spreads, as well as a section for contacts and pages to jot down notes and ideas. Laminated dividers and a ribbon page-holder make it easy to find your place, and playful sayings sweeten the start of every month. $40. Free shipping. Buy here. 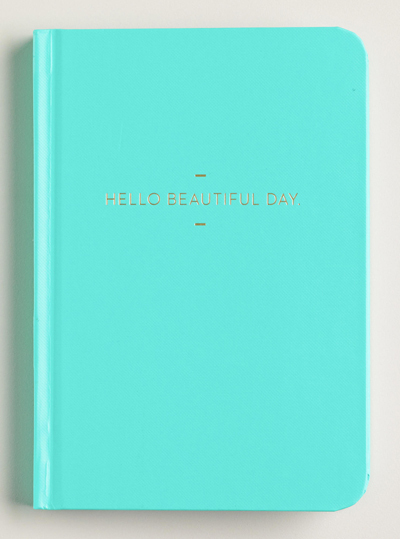 This softcoverÂ Turquoise Hello Beautiful Day Journal has plenty of lined pages printed with soy ink to jot down the day’s thoughts. 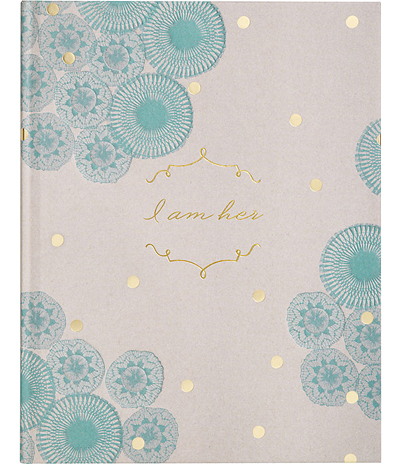 It features a chevron print page marker and beautiful cover typography stamped in gold foil. $9.95. Free shipping. Buy here. This stylishÂ 2015 Large Robin’s Egg Date Book will help keep your life in order. The elegant faux leather datebook features a weekly format, with places to detail Monday through Sunday on the left-hand side of the page and room for notes on the right. Monthly views in the front make it easy to denote appointments. World time zones, weight and measurement equivalents, space for notes and more in the back. Soft robin’s egg blue cover. 240 pages. $39.95. Buy here. 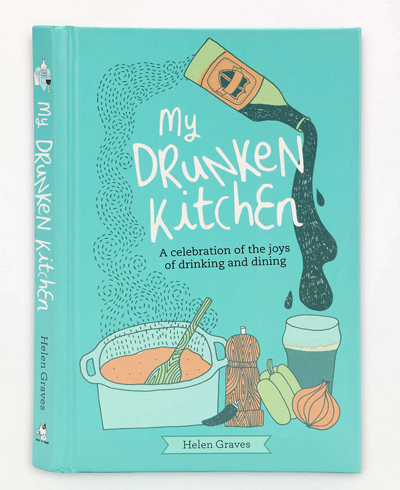 My Drunken Kitchen: A Celebration Of The Joys Of Drinking And Dining by Helen Graves is a hardcover book that celebrates all things food and drink, from all-day drinking sessions to wining and dining your friends. 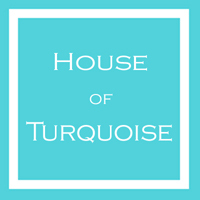 Filled with recipes for food and drinks – as well as food made with drinks, plus a special section dedicated to beating a hangover. $15.95. Buy here. 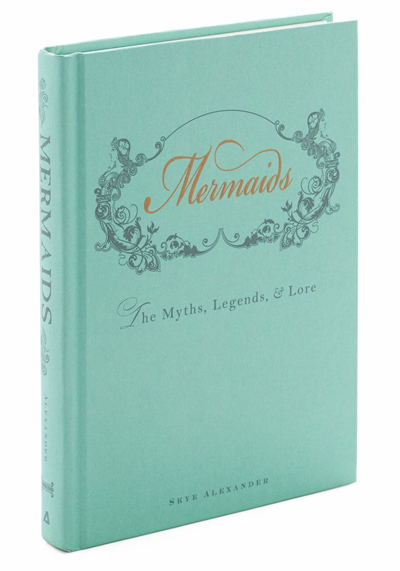 Mermaids: The Myths, Legends, & Lore is a beautiful turquoise hardback by Skye Alexander, a guide – complete with a table of contents and an index – that will gift you with all the enchanting knowledge youâ€™ve ever wanted on mermaids via elegant blue text and lovely illustrations. $16.99. Buy here. It’s never too late to get a fresh start on the year, and this spunky 17 monthÂ I Am Very Busy Planner will help get you started! Fully packed with lots of color and fun, it’s the perfect sidekick to keep you organized and happy. And after a summer of fun, it’s just what you need to get you prepped for back-to-school or get you back in the groove at work! 17 month planner, August 2014-December 2015. $20. Buy here. 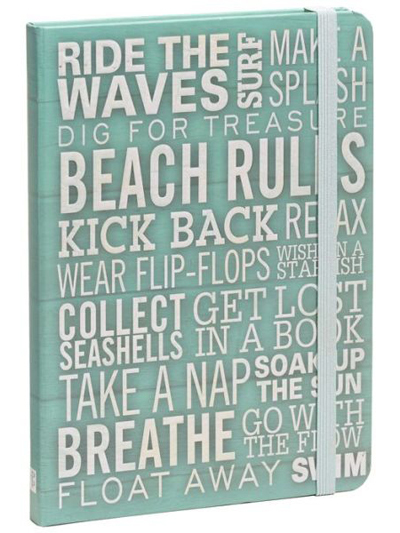 Let a little beach wisdom guide you through the pages of this Subway Art Beach Rules Blue Lined Bound Journal. 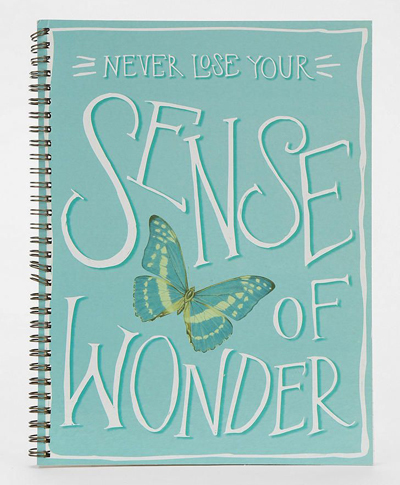 This softly teal-hued journal provides plenty of space for favorite quotes, poems, and your own beach wisdom, all the while reminding you to soak up the sun, go with the flow, breathe, and relax. $10.98. Buy here. Her spirit is the first thing people notice. Who is she? She’s a daughter, best friend, wife, sister or mother. I am her. This beautifulÂ I Am Her Book is a collage of quotations, vignettes and thought-provoking questions that reminds any woman of her strength, spirit and heart. 80 pages. $14.95. Buy here. 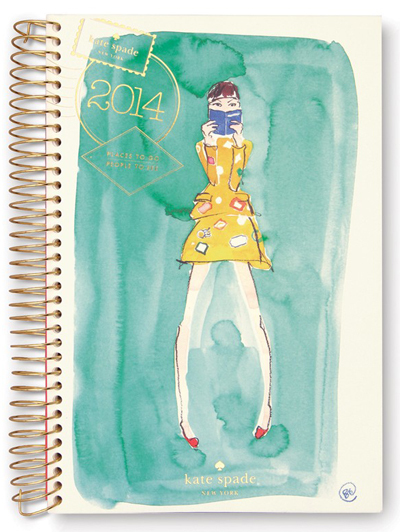 This 2014Â Kate Spade Spiral Desk Calendar breaks out months, days and time slots to help keep track of your busy life. Pages for notes, doodles, addresses and birthdays keep you perfectly organized, while playful monthly themes make the agenda as fun to use as it is pretty to look at. $38. Free shipping. Buy here. Add style to your shorthand and good looks to your long lists with this wire-boundÂ Wonder Spiral Notebook featuring 50 perforated, lined pages + structured front & back covers, each with an interior pocket. $8. Buy here. Humorous, heartfelt and everything in between,Â The Art of the VisitÂ cleverly illustrates the dos and don’ts of hostessing and house-guesting. 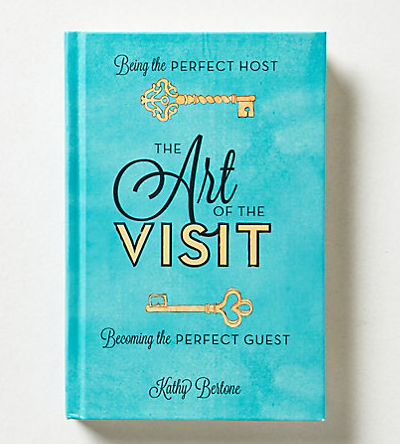 Filled with personal anecdotes and helpful tips, Kathy Bertone’s stylish guide ensures an enjoyable stay for all. $16. Buy here. 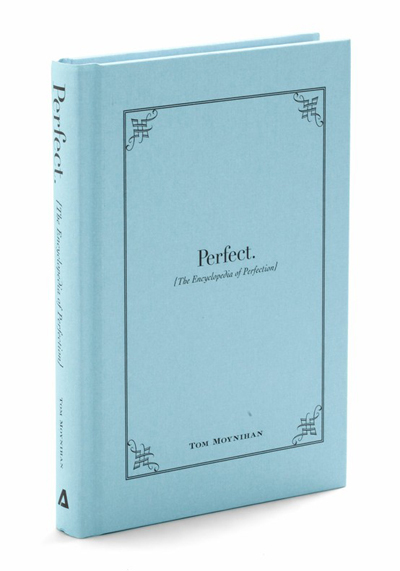 Behind the pristine, pale blue hardcover of this properly clever guide Perfect: The Encyclopedia of Perfection, author Tom Moynihan provides his own witty advice on mastering a multitude of tasks, identifying the ideal features of any object, and generally being brilliant. Whether youâ€™re delivering a handshake, taking a penalty kick, preparing a cup of tea, de-skunking your dog, telling a joke, or searching for skiing snow, this manual has you covered with step-by-step instructions and thoughtful insights on the topic. Equipped with expert knowledge on everything from pouring champagne to taking a vacation, youâ€™ll be a flawless force to be reckoned with! $13.99. Buy here. A great journal is all about what you say inside. But the outside of this Jonathan Adler Blue Ocean Whale Paper Flexi Journal says just as much. The soft, flexi cover is a gorgeous shade of blue featuring a unique whale graphic. Measures 6″ x 8″. 180 lined pages. Elastic closure. $9.95. Buy here .